Northwestern University’s Division 1 football team is comprised of about 112 players of which there are 85 players who receive football grant-in-aid scholarships that pay for their tuition, fees, room, board, and books. The players on a scholarship typically receive grant-in-aid totaling $61,000 each academic year. The grant-in-aid for the players’ tuition, fees and books is not provided directly to them in the form of a stipend as is sometimes done with room and board. Because Northwestern University’s football team has a rule requiring its players to live on campus during their first two years, these players live in a dorm room and are provided a meal card, which allows them to buy food at the school cafeteria. In contrast, the players who are upperclassmen can elect to live off campus, and scholarship players are provided a monthly stipend totaling between $1,200 and $1,600 to cover their living expenses. Under current NCAA regulations, Northwestern University is prohibited from offering its players additional compensation for playing football at its institution with one exception. Northwestern University is permitted to provide its players with additional funds out of a “Student Assistance Fund” to cover certain expenses such as health insurance, dress clothes required to be worn by the team while traveling to games, the cost of traveling home for a family member’s funeral, and fees for graduate school admittance tests and tutoring. The players do not have FICA taxes withheld from the scholarship monies they receive. Nor do they receive a W-2 tax form from the Employer. The Northwestern University football players recently formed a union calling themselves the College Athletic Players Association (CAPA) and contend that football players receiving grant-in-aid scholarships from Northwestern University are “employees” within the meaning of the National Labor Relations Act, and therefore are entitled to choose whether or not to be represented for the purposes of collective-bargaining. Northwestern University, on the other hand, asserts that its football players receiving grant-in-aid scholarships are not “employees” under the Act and that these players are more akin to graduate students whom the NLRB found in the past not to be “employees” under the Act to petition for a union election. On March 26, the NLRB Region 13 Director, Peter Sung Ohr, granted the players’ petition for a union election in a 26 page Decision and Direction of Election. Northwestern University has until April 9, 2014 to request a full review by the five member NLRB. 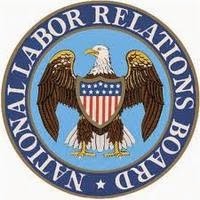 Common Sense Counsel: As traditional union representation continues to dwindle in the United States, the five-member Obama-stacked NLRB continues to seek ways to make itself relevant in a increasingly non-union society. This shocking decision by the Regional Director in Chicago is the latest example. The new, expansive non-union workplace mission of the NLRB now touches: 1) Social media regulation; 2) internal investigation protections; 3) attacking employer prohibitions on the discussion of wages and benefits; 4) arbitration agreement challenges; 5) encouraging micro-unions; 6) allowing quickie ambush elections; and 7) now the destruction of college athletics. Take time now to review your handbooks, agreements, internal protocols, and other policy guidance that may be subject to challenge by the NLRB's expansive mission and make changes so you will be able to field a team. Tommy Eden is a partner working out of the Constangy, Brooks & Smith, LLP offices in Opelika, AL and West Point, GA and a member of the ABA Section of Labor and Employment Law and serves on the Board of Directors for the East Alabama SHRM Chapter. He can be contacted at teden@constangy.com or 334-246-2901. President Obama on March 13, 2014, issued an executive order that the U.S. Department of Labor (DOL) update the overtime regulations to the Fair Labor Standards Act (FLSA) which change will make millions of currently exempt white-collar employees eligible for overtime pay. The DOL is already empowers to implement and amend regulations that determine which employees are exempted from overtime. Currently, to qualify for an overtime exemption, an employee must: (1) earn at least $455 per week (i.e., the salary requirement) and (2) satisfy certain tests relating to actual job duties (i.e,. the job-duties requirement).The DOL changes to the regulations will include, at a minimum, an increase in the $455 weekly earning level to $800 to $900 per week, will likely target the job-duties requirement limiting hands-on work activities. To qualify for the executive (supervisor) employee exemption currently: (1) an employee’s primary duty must be management of the enterprise in which the employee is employed or of a customarily recognized department or department subdivision; (2) the employee must customarily and regularly direct the work of two or more other employees; and (3) the employee must have authority to hire or fire other employees, or be in a position that effectively recommends those actions. To make these changes the DOL must first promulgate proposed regulations, publish them and invite comment. Expect quick DOL action. Common Sense Counsel: Schedule now your own strategic 21st-century human resources planning session to see how your modern work force will be realigned by this coming regulation and answer these questions: 1) how to effectively use team leads and incentives to replace traditional supervisors; 2) how refreshing your vision and value statements can align, energize and motive; 3) how can new mobile technology options daily engage, teach and inform employees; 4) how to daily assign mission critical tasks directly to teams while valuing their feedback; and 5) how to use personality testing to improve talent acquisition to achieve optimal results and lower risk. White boards, markers and creative thinkers are your tools for business success and survival in times of change. David Moorman was the Wal-Mart Store manager of the Keller, Texas store and claimed to his regional HR manager that he was being called “old man” and "the old food guy" by his direct supervisor. Moorman says that the company took no action to stop his mistreatment. About the same period of time, Moorman was diagnosed with diabetes. Moorman promptly informed the market manager and the human resources director of his diagnosis. Mooreman’s doctor instructed him to take a medical leave of absence for nine weeks, which leave Wal-Mart granted. Upon his return, and in keeping with his doctor’s recommendation related to his diabetic condition, he requested a reassignment to a less demanding position as assistant store manager or store co-manager. Wal-Mart failed to make Mooreman’s requested accommodation or enter into an interactive process as contemplated by the ADA for making a reasonable accommodation, according to Mooreman. A month later, Wal-Mart denied his request. Later Mooreman was terminated. Mooreman then filed a charge under the Age Discrimination in Employment Act (ADEA) and under the Americans’ with Disabilities Act (ADA) with the Equal Employment Opportunity Commission (EEOC). The EEOC sought to conciliate the matter without success and this week filed suit against Wal-Mart on behalf of Mooreman in Federal Court claiming violations of the ADEA and ADA. 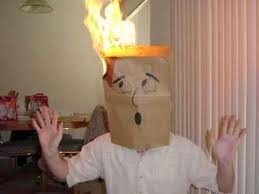 Common Sense Counsel: Supervisors who make statements such as those attributed to the Wal-Mart supervisor above, are what we in the management labor profession call “Managers with Their Hair on Fire”. These are people who engage in grossly inappropriate workplace behavior, or statements, but appear ignorant of their workplace impact. All the while, everyone else in the workplace acts as innocent bystanders waiting for the workplace pot to boil over. Do all you can to stay off the EEOC radar. It starts with having a legally compliant handbook, training your managers properly on nondiscrimination in all facets of your business, having the proper procedures in place when allegations of discrimination need to be timely and effectively investigated, and hopefully resolved internally. Where there is smoke the EEOC will sometimes fan the flames. Making statements such as those allegedly attributed to this Wal-Mart supervisor should be avoided. This is a lack of training or policy or both. Don’t be the employer of a manager with his hair on fire. Jackie Lawson worked at Fidelity Investments, a privately held company, and alerted her supervisors to the alleged improper retention of $10 million of fees. Fidelity Investments served as a contract investment adviser to publically traded mutual fund companies with $1.7 trillion of U.S. investment assets. Shortly after her complaint she was passed over for a promotion and threatened with punishment for insubordination. Jonathan Zang, who also served as a Fidelity Investments fund advisor claimed that he was given poor reviews and fired in retaliation for his complaint that a new pay plan for Fidelity portfolio managers inaccurately and illegally described how pay was calculated. Both Lawson and Zang felt they had been retaliated against by their employer for bringing their whistleblower complaints revealing alleged fraud which directly impacted the Fidelity Mutual Fund. 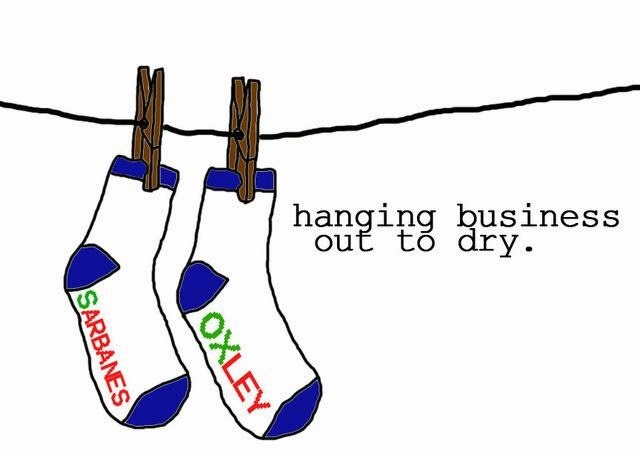 Both employees eventually filled Sarbanes-Oxley Act (SOX) lawsuits in Federal Court. SOX was enacted in 2002 in the aftermath of the Enron collapse to protect investors in public companies with its linchpin being an anti-retaliation provision protecting whistle blowing employees. The two Fidelity Investments whistleblowers asked the court to find that SOX protects private company employees serving under contract as advisers to publicly traded company. In a closely watched case the United States Supreme Court on Tuesday held that SOX whistleblower protections also cover contractors and subcontractors of publicly traded companies. This is an expansive view of SOX and means literally that millions of employees of private companies, accountants, lawyers and advisors with a contract with a public company who blow the whistle on corporate fraud may be SOX covered employees. This was the high court's first-ever SOX whistleblower case. Common Sense Counsel: This holding that SOX bans whistleblower retaliation by private contractors of publicly traded employers joins a line of decisions, Acts and Regulations which grant broad protections to employees who whistleblow about OSHA, False Claims, Affordable Health Care Act and 22 different Federal Acts for which OSHA conducts whistleblower investigations. However, the four shots to inoculate your business from whistleblower claims are all the same and were detailed in my article Beware of the Blown Whistle on March 2.